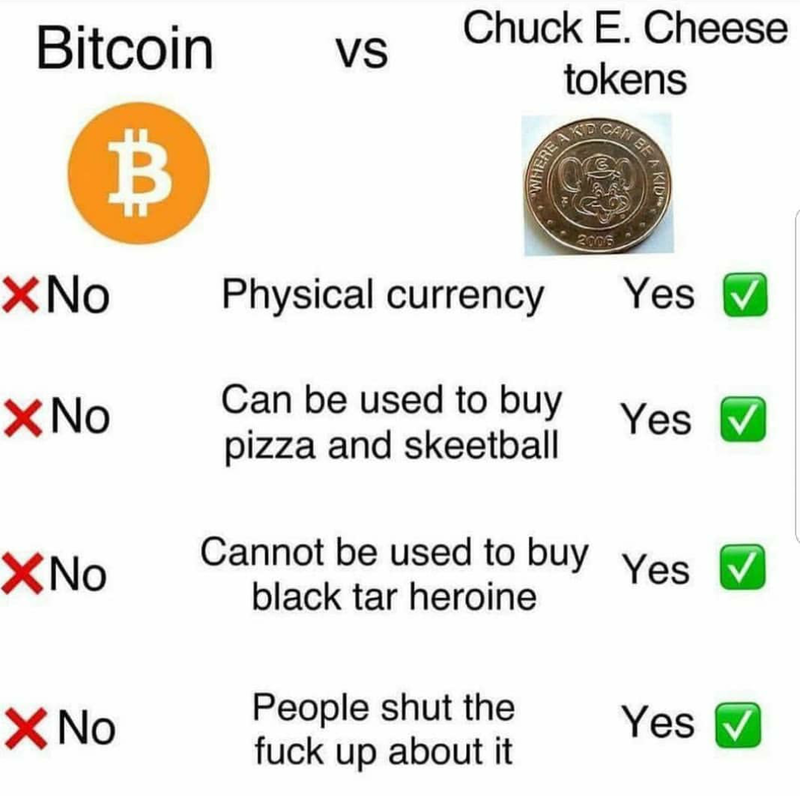 Climateer Investing: Today in Crypto: "Man Arrested After Making Over $1 Million Selling Chuck E. Cheese Tokens As 'Bitcoins'"
Today in Crypto: "Man Arrested After Making Over $1 Million Selling Chuck E. Cheese Tokens As 'Bitcoins'"
NEW YORK CITY – A New York man has been arrested after he reportedly made over a million dollars selling Chuck E. Cheese tokens as Bitcoins on the streets. So the cop not only slams the slow-of-wit community but throws his own kid under da bus? A more accurate, but still wildly figurative headline would be "Chuck E. Cheese passes the token torch to Deloitte."